I can’t tell you how much we love hosting Tastings at The Ashes Wedding Experience Events. They offer us the opportunity to showcase some of our Head Chef’s new and innovative dishes, in addition to serving up some classic choices for a wedding breakfast. Held in advance of your Personal Consultation meeting with us, we hope that by experiencing a number of dishes, you’ll find it much easier to select which dishes you’d like to serve at your wedding. You’ll get your invitation by email, directly from The Ashes, offering you a choice of sittings. The event takes place at The Ashes and you can expect to enjoy the company of around 80 to 100 other excited individuals at your sitting. 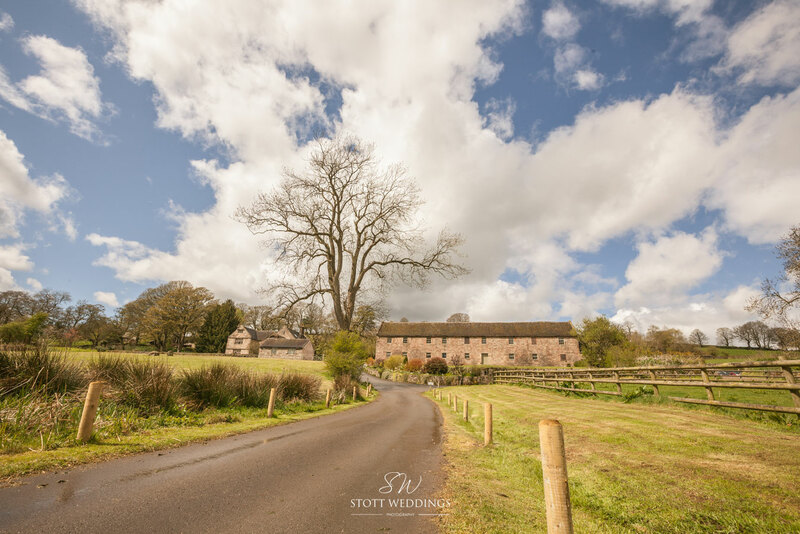 The Bride and Groom get two complimentary places for the Wedding Experience Event and wherever possible you’ll be given the option to invite up to an additional four guests for a nominal fee which gets added to your final catering invoice. Upon arrival at The Ashes you’ll be welcomed by one of their wonderful Event Managers who will give you a Tasting Pack which includes details of the dishes we’ll be serving on the day, The Cellar wines selected to accompany the dishes and space to make lots of notes! 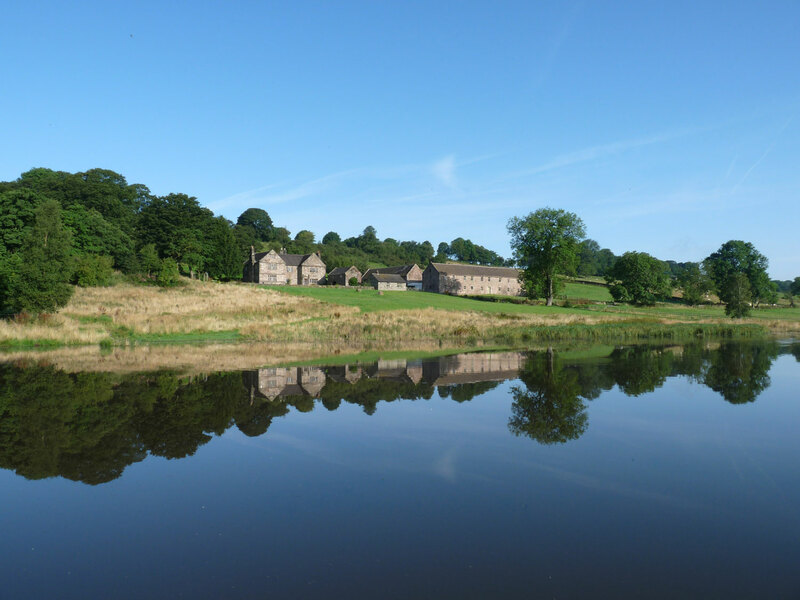 Before you’re invited to take your seats in The East Barn for the tasting, you’ll have the opportunity to explore and rediscover the beauty of The Ashes Venue. Perhaps you’ll be inspired by the variety of decorative suggestions placed by The Topiary Tree Florist; I love the way they decorate the dining tables with a different centrepiece on each, it’s fantastic. The Ashes Events Managers will be on hand to answer any questions you might have, as will our team of experienced Wedding Co-ordinators so it’s an excellent opportunity to pick our brains whilst you’re enjoying the ambience of The Ashes, a glass of bubbly and a canapé or two. 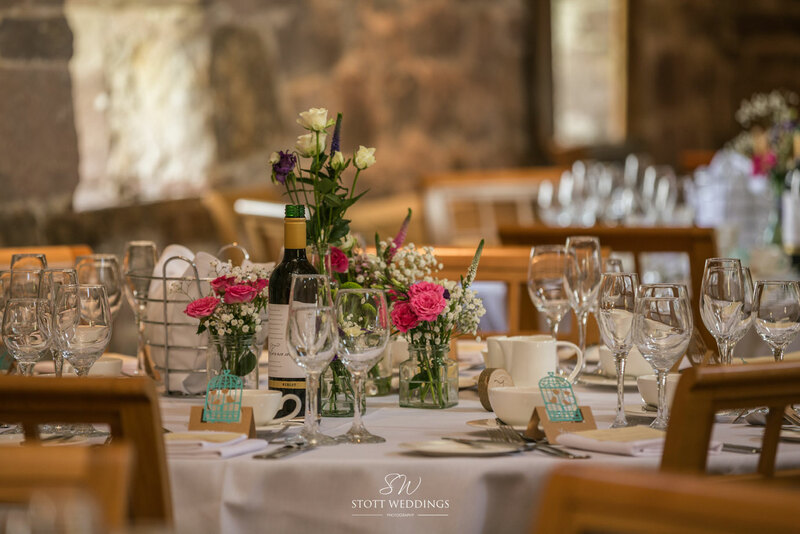 You can find out which table you’re seated at by consulting the Table Plan hung in the anteroom, just as your guests will on your wedding day. Once everyone is seated, the owner of The Ashes, Ben Reeves will say a few words to welcome everyone before we begin service. Please appreciate that with around 100 guests to serve it is not possible for you to choose which specific dish you’d like to try. Our fabulous team of chefs select a range of dishes to inspire and delight you and your guests. 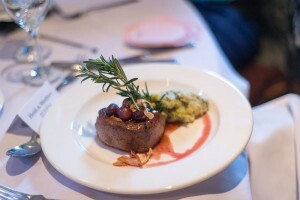 We’ll cook around four different dishes per course and serve at least one example of each dish to your table. You won’t know precisely which dish you’ll get but hopefully you’ve brought close friends or family who don’t mind sharing. Our Wedding Co-ordinators will talk each table through the dishes as they are served and answer any questions you might have. We’ll always prepare a vegetarian option at each course and any specific dietary requirements you may have will have been communicated to us in advance so that we can make any necessary substitutions. We’re sure that you’ll have a great time at your tasting. 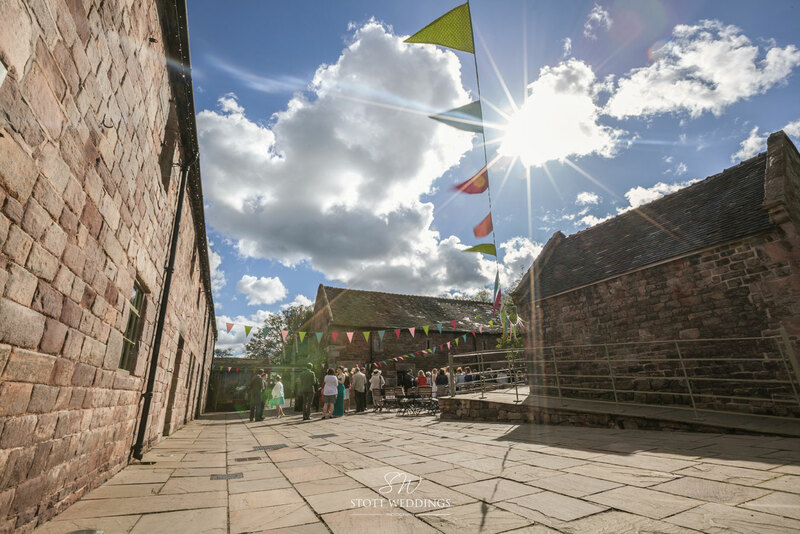 It’s a fantastic opportunity to experience The Ashes full of excited people just as it will be on your wedding day; the warmth and ambience in this stunning venue is second to none. If by chance you’ve already chosen your wedding breakfast menu prior to the Tasting but then try something that simply blows your mind, don’t worry! You can change your wedding breakfast menu up to 21 days before your wedding. Just get in touch and we’ll make the changes. 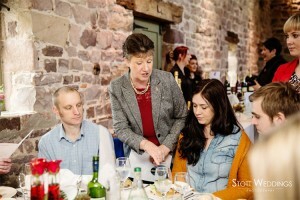 Thanks to Stott Weddings for the photographs of the last Ashes Tasting Day. How to get the most out of your Personal Consultation. As your wedding day approaches we’ll invite you to attend your Personal Consultation at our newly refurbished headquarters in Stafford. 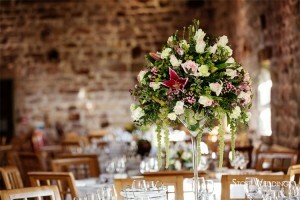 We’ll contact you around 6 to 8 months prior to your wedding to arrange a mutually convenient date. You’ll meet with one of our experienced wedding co-ordinators and together you’ll make some decisions about the catering for your wedding at The Ashes. Here are just a few of the things we’ll discuss at your Personal Consultation. Would you like to serve canapés during your drinks reception? If your guests have had an early start they are likely to be pretty peckish during your drinks reception. Our delightfully moreish canapés are a great way to keep their hunger at bay without ruining their appetite. 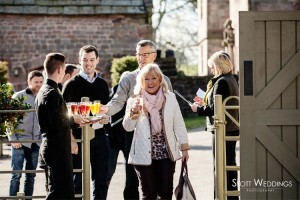 What drinks will you be serving during the drinks reception? The Ashes is a no corkage wedding venue which means you may have opted to supply your own drinks for the drinks reception and meal. We need to know what you’re planning to serve so that we can arrange to have all the appropriate glassware in place. Remember to tell us if you’re serving Pimms so that we can prepare all the fresh mint and fruit for you, free of charge. Are you thinking of doing speeches first? If you think you’d like to have your speeches before the wedding breakfast just consider what will happen to your chosen dishes if the speeches run over. It’s a good idea to choose forgiving dishes that are not time critical; a salad starter will wait patiently for the best man to finish but a perfectly risen soufflé may suffer if there is a delay in service. Would you like to treat guests to an unexpected course? If you’re looking to make your wedding breakfast memorable; something guests will rave about for months, then consider treating them to an unexpected course. From Amuse Bouche to a Hot Soup Shot, we have loads of tantalising ideas in the Wedding Menu section of our website. What would you like to serve at your Wedding Breakfast? Although our Wedding Co-ordinators can offer suggestions it’s almost impossible for them to pick out your perfect wedding breakfast menu from our extensive selection of tried and tested exquisite dishes. It’s like asking the DJ to pick your First Dance track. Ensarb Exclusive Catering Facebook Page regularly shares wedding menus served at The Ashes. The Latest News section of our website has some great tips and ideas. The Ashes Menu Pack is crammed full of tasty menu suggestions, you can download it from their website. Coming Soon…you’ll be able to research ideas for your wedding menu using our fantastic new online Menu Selector which lets you browse through our Collections and mix and match dishes to come up with your favourite combinations. The Menu Selector is a great way to get inspired and offers you the flexibility to create your own mouth-watering menu. If you’d like to set a date for your Personal Consultation don’t hesitate to get in touch. We’d normally advise meeting up after you’ve attended your Tasting Day at The Ashes Venue. A well fed wedding guest is a happy wedding guest! We know that you want all your guests to enjoy themselves at your wedding and offering them a selection of wedding canapés during the drinks reception is a sure fire way to impress. If your wedding ceremony is before 1pm there is a good chance that many of your guests will have grabbed a quick breakfast early in the morning before travelling to The Ashes. Those guests will be pretty peckish after the ceremony and will really appreciate a canapé or two to keep them going until the wedding breakfast meal. You can serve as many canapés as you like but we’d generally recommend allowing 3 per person. That’s just enough to stave off their hunger and allow everyone to enjoy the drinks reception without ruining their appetite for the wedding breakfast meal. There are so many incredible vegetarian wedding canapés available that it’d be a shame not to include at least one vegetarian option. As the drinks reception draws to an end it’s lovely if you circulate a couple of sweet wedding canapés to signal the end of the canapé service. Popular favourites include miniature chocolate fudge brownies and fresh strawberries dipped in chocolate. We believe the perfect canapé should look exquisite and have big bold flavours in stark contrast to its compact size. 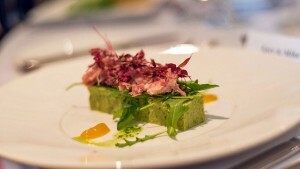 There are loads more suggestions for wedding canapés on The Ashes website. 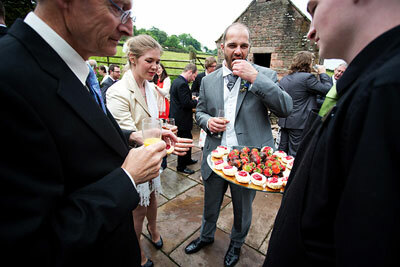 Please don’t hesitate to CONTACT US if you’d like to discuss your wedding canapés.